It is 1942 and the German submarine fleet is heavily engaged in the so called "Battle of the Atlantic" to harass and destroy English shipping. With better escorts of the Destroyer Class, however, German U-Boats have begun to take heavy losses. 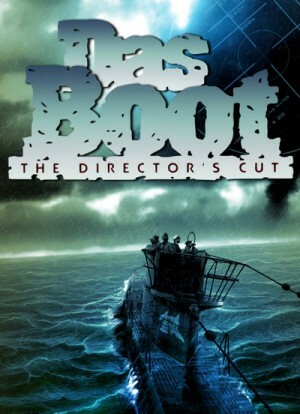 Das Boot is the story of one such U-Boat crew, with the film examining how these submariners maintained their professionalism as soldiers, attempted to accomplish impossible missions, while all the time attempting to understand and obey the ideology of the government under which they served. This is the restored, 209-minute director's cut of Wolfgang Petersen's harrowing and claustrophobic U-boat thriller, which was theatrically re-released in 1997. Originally made as a six-hour miniseries, this version devotes more time to getting to know the crew before they and their stoic captain (Jurgen Prochnow) get aboard their U-boat and find themselves stranded at the bottom of the sea. "Das Boot" puts you inside that submerged vessel and explores the physical and emotional tensions of the situation with a vivid, terrifying realism that few movies can match. As Petersen tightens the screws and the submerged ship blows bolts, the pressure builds to such unbearable levels that you may be tempted to escape for a nice walk on solid land in the great outdoors - only you wouldn't dream of looking away from the screen. Sony brings "Das Boot" to Blu-ray in a 2-disc set with both the 209 minute director's cut and the 149 minute theatrical cut of the film. The main difference between the two versions is the inclusion of several more scenes involving individual characters' storylines that flesh out and expand upon their personalities and emotional arcs. This is the full 2-Disc Collector's Edition set, with both the Director's and Theatrical versions,plus the Special Features which are only on disc 2.